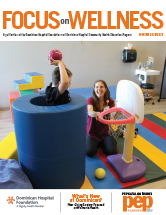 The new FOCUS of Wellness publication represents a significant change with a new partnership between the Dominican Hospital Foundation and the Dominican Hospital PEP program on each issue. The name change from FOCUS on Health to FOCUS on Wellness reflects healthcare’s intent to increase preventative health. 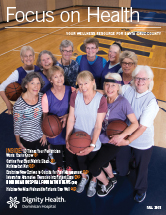 The first part of this issue highlights the work of the Foundation and the generosity of the community in improving the hospital’s programs and services. 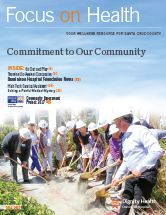 This is followed by the PEP class listings and articles regarding hospital developments. The classes and correlating articles do just that and we hope you take advantage of the opportunity to create and healthier and happier you! 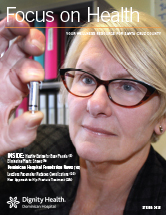 Focus on Health Magazine is published by the Dominican Hospital Foundation for friends and supporters of Dominican Hospital. 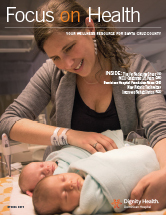 The magazine features articles about the cutting-edge research, medical care, education, and technology at the hospital—and how benefactors’ gifts make these activities possible. If you would like to be added to the mailing list for Dominican Hospital, please contact us at (831) 462-7712.